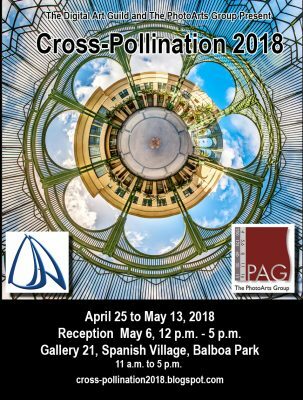 The collection of artwork “Cross-Pollination 2018” is now installed at Gallery 21, Spanish Village in Balboa Park until May 13. Open every day from 11:00 to 4:00. Click HERE for directions. You are invited to the reception on Sunday, May 6 from noon to 5:00. Hope to see you there!